In case you missed it, here is a link to the Science Borealis Reader’s Survey: http://bit.ly/ScienceBorealisSurvey. Feedback from this survey will help me better understand my readership. Sometimes, a lucky circumstance presents itself, and you are ready to seize the opportunity. I got many wonderful photos on my trip up the Rewa River in Guyana this spring, but ironically enough, my favourite set of shots came within the first hour on the boat! We spotted this hawk on the left bank of the river, and we quietly motored over to it. 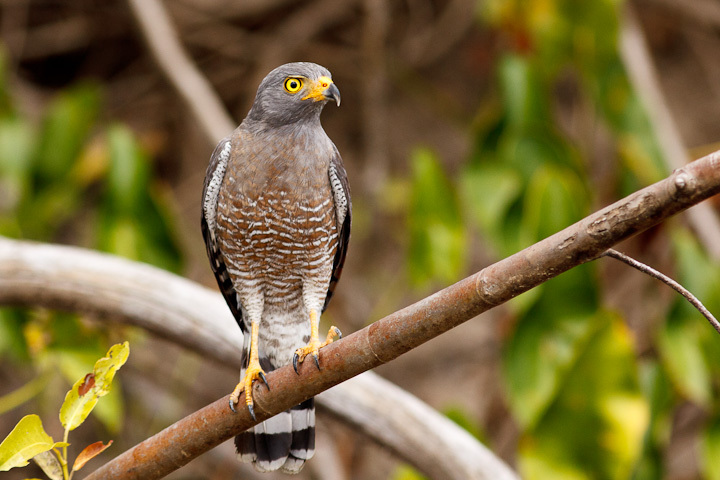 This was a Roadside Hawk (Rupornis magnirostris), a small, primarily insectivorous hawk found from Mexico to northern Argentina. 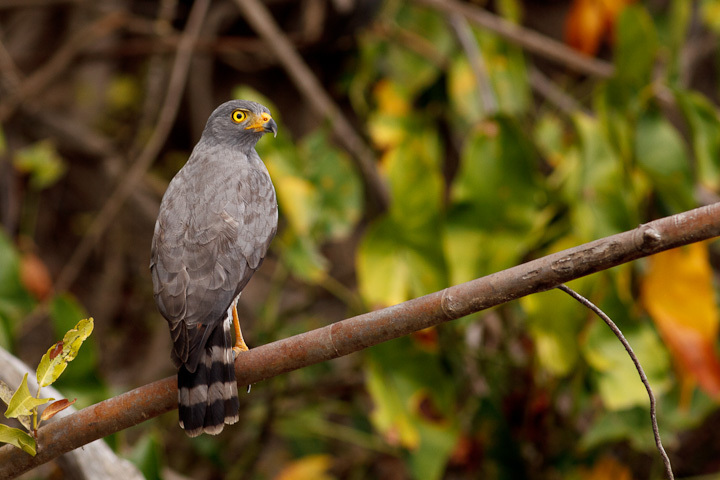 It has quite a boring name, but it is actually quite lovely and unusual, with a body form akin to an accipiter rather than its Buteo cousins. Anyway, these were some of the loveliest bird pics I got on the whole trip, so please enjoy them! The hawk was very obliging as a model, turning this way and that, and looking at us with curiosity. 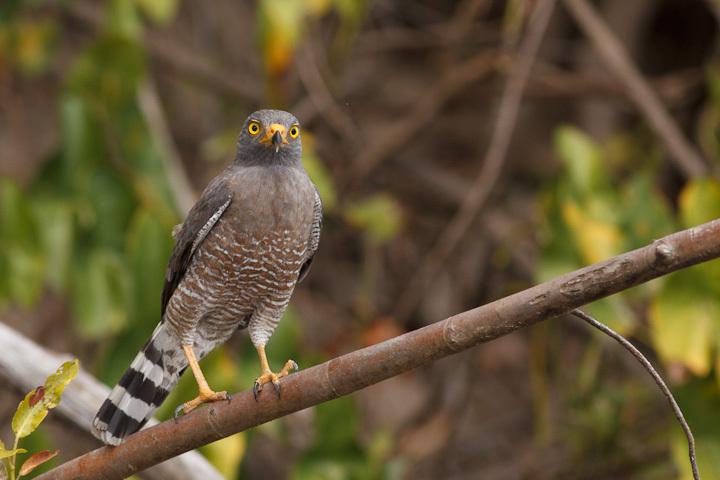 This view shows how close in body form they come to an accipiter. Short wings, long tail, fine barring on the breast, broad bars on the tail. 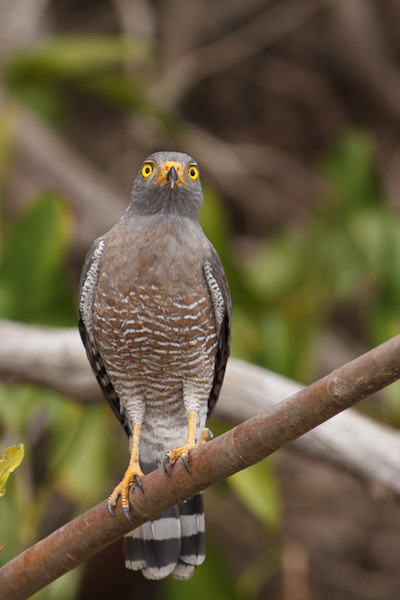 In fact, other birds are convergent in form to accipiters, notably in America the forest falcons. Such a lovely hawk! For larger versions of these images, click here. 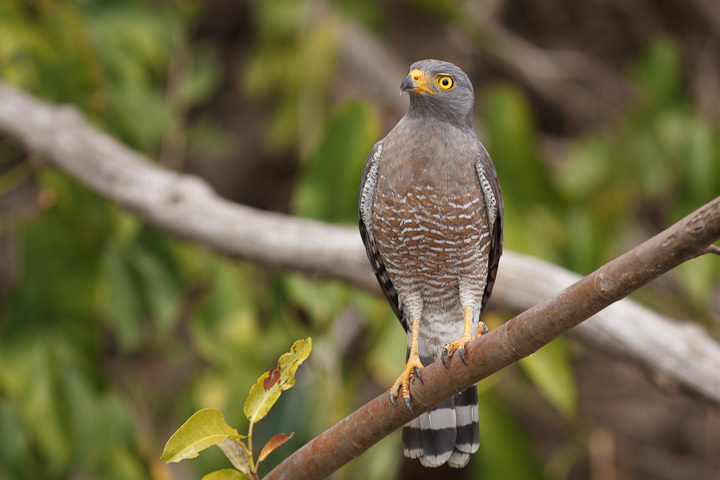 This entry was posted on December 1, 2015, in Guyana, Rewa River and tagged Birds, Guyana, Roadside Hawk, Rupornis magnirostris, South America. Bookmark the permalink.